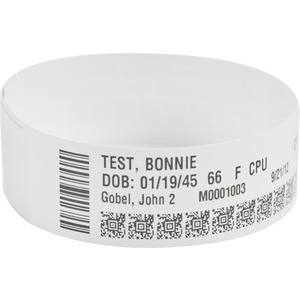 Direct thermal polypropylene wristband with a tamper-evident adhesive closure. Scannable up to 14 days. Latex-free.